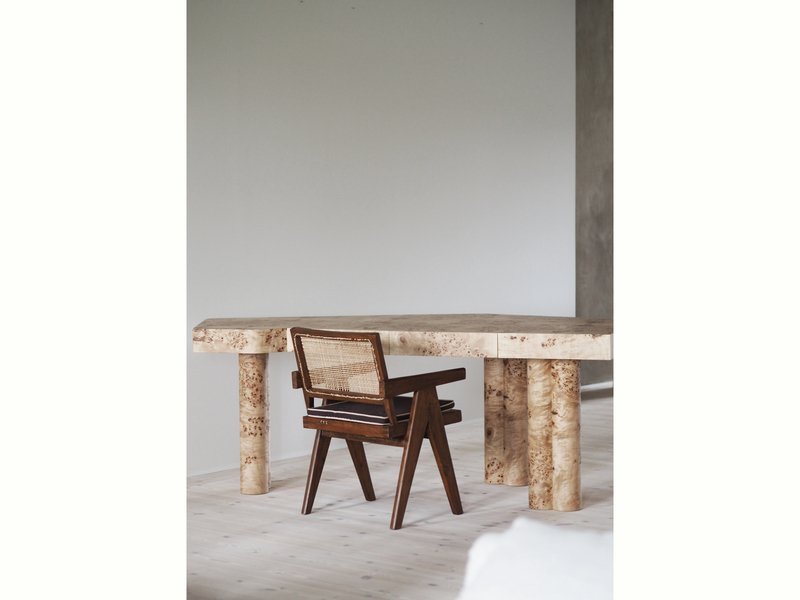 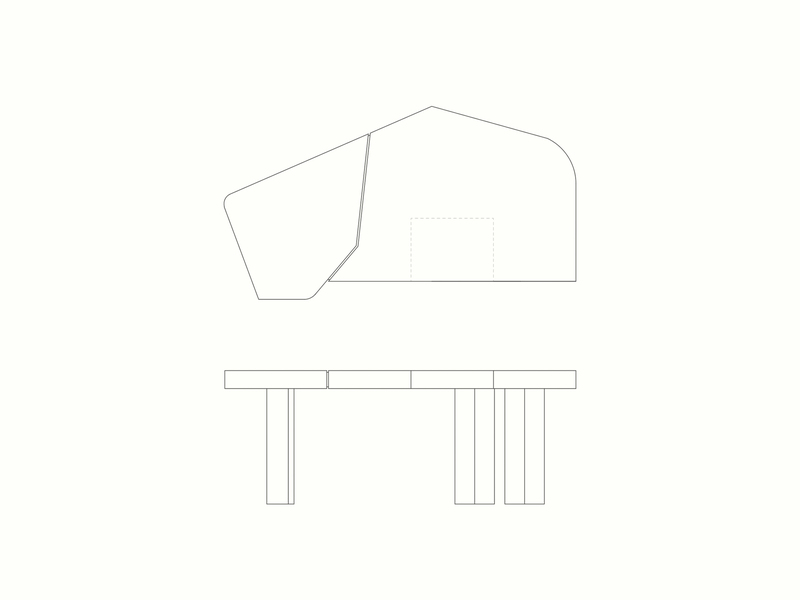 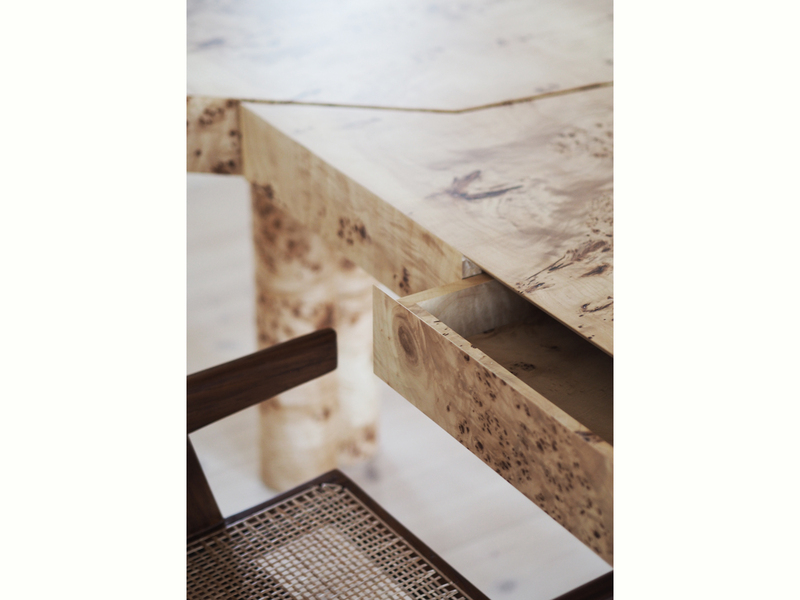 A both sculptural and contemporary desk where Danielle Siggerud’s expertise in material work and her attention for detail comes together with Scandinavian’s crafts skills and excellence in carpentry work. 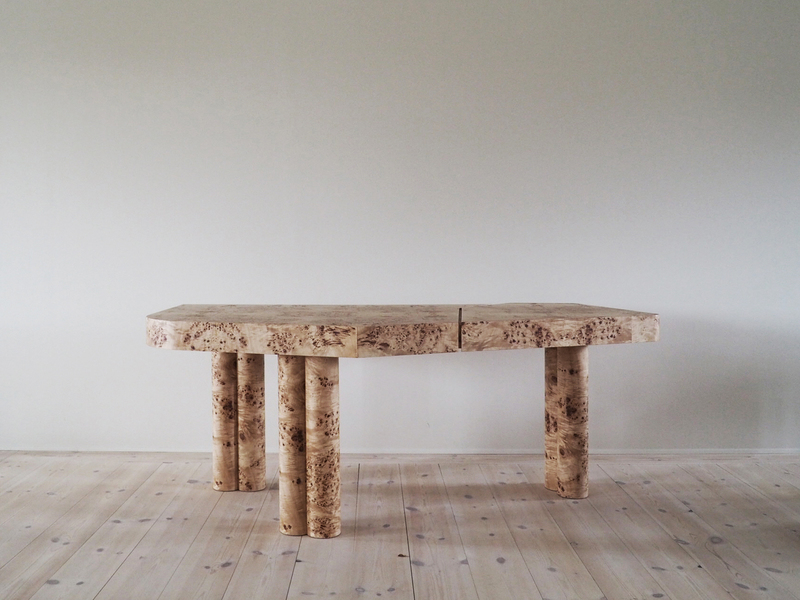 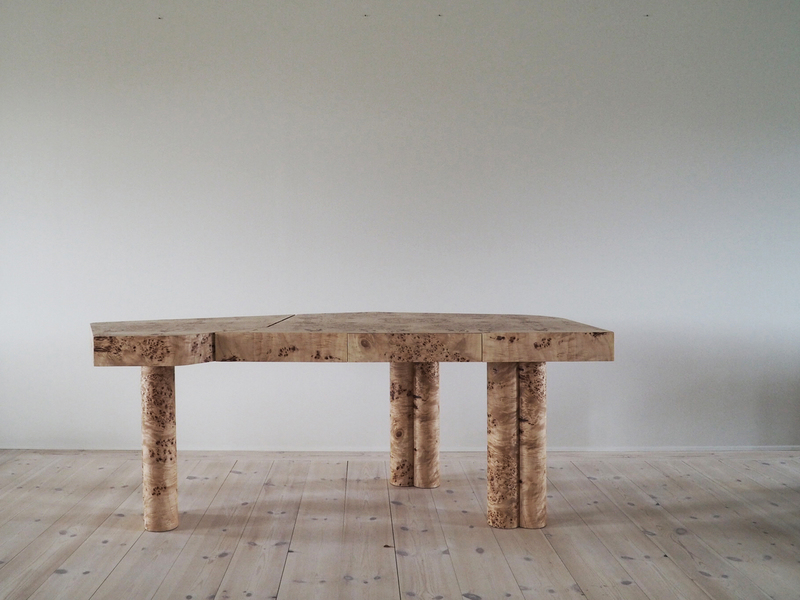 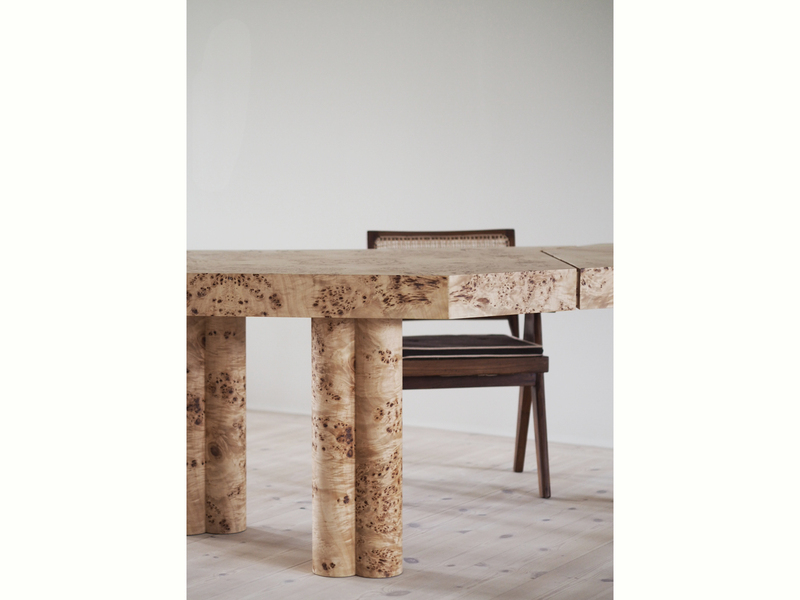 This asymmetrical elm burl desk consists of two separate table-tops supported by three trunk-like legs, symbolising how two parts can be individual, but without being able to stand alone. 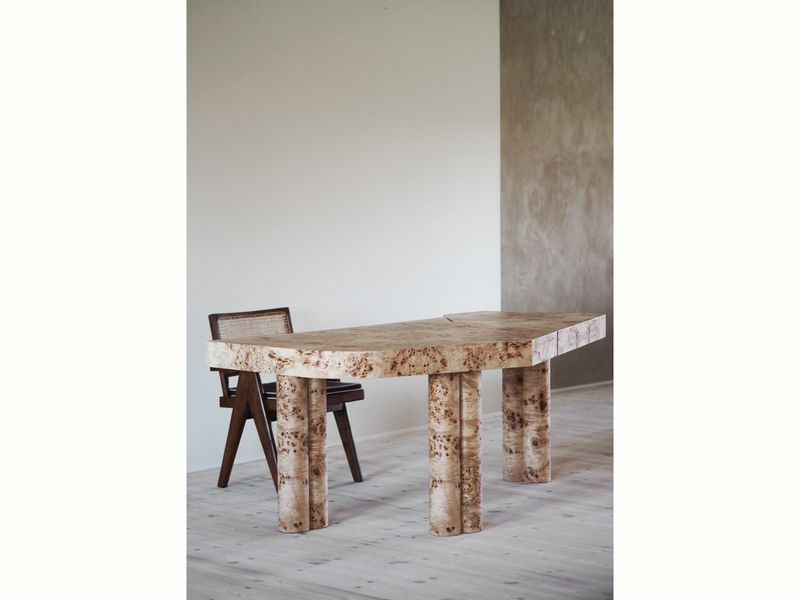 Together they become complete - a reference to the love of two people, as the desk was originally designed as a wedding gift to her husband. 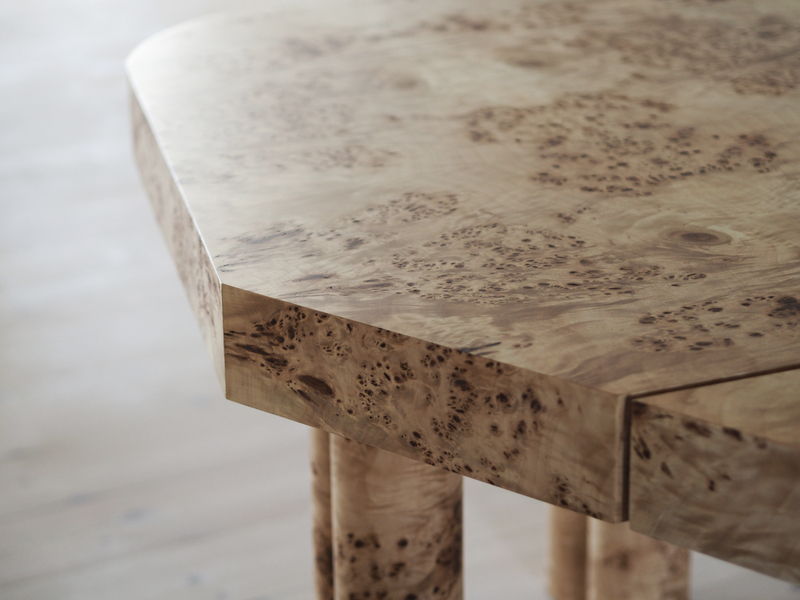 Can be ordered in elm burl, oiled oak and black stained oak.